Building of the castle started in 13th century. 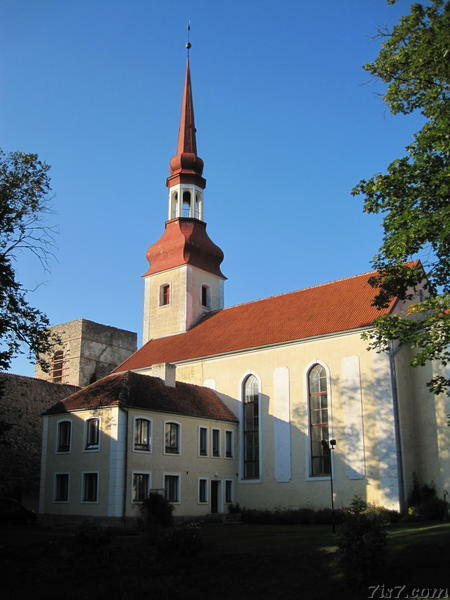 In 1570 Põltsamaa became the official residence of the King of Livonia under King Magnus. In 1941 the castle and church were destroyed. The church was reconstructed in 1952. The church has been built into the wall. With the front entrance inside the castle wall and the rest of the church outside. The photos on this page replaced photos from 2007. Location: 58°39'16"N 25°58'3"E on: Google Maps, OpenStreetMap, Maa Amet.